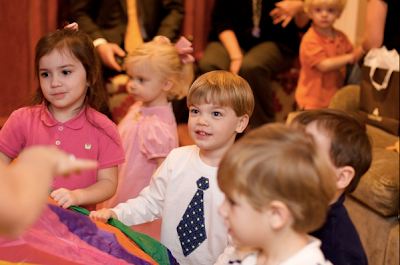 Here are pictures from Nicklaus sing-a-long party! 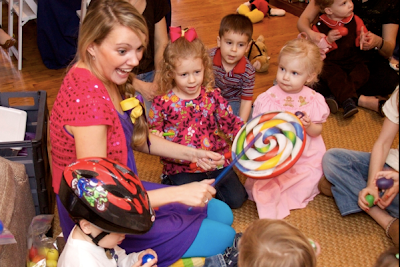 A good friend of mine, who teaches preschool choir and music classes, came over and led the kids in silly songs and games. 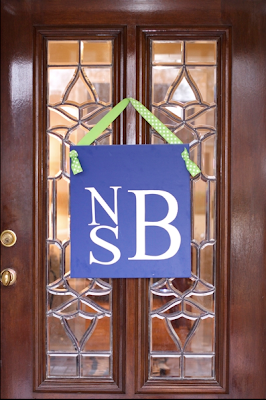 The door sign that greeted Nick's party guests. 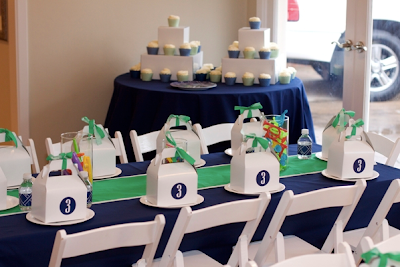 The party colors were navy and kelly green which I carried throughout the party along with his monogram. 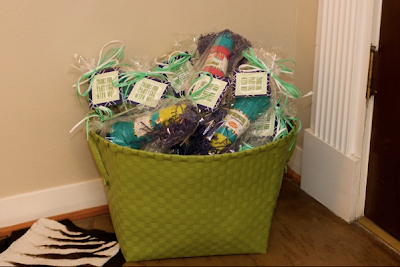 Snack boxes for the kids upon arrival! My sweet mom sewed the table runner for the two tables! I put monogram stickers on all of the white plates to give the simple paper good some style. 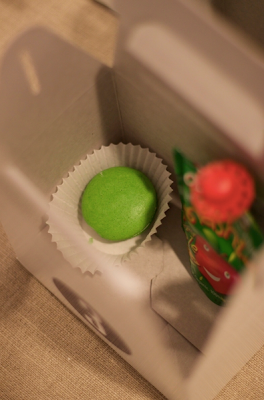 Part of the snacks were kelly green macarons and Smashies (squeezable applesauce)...and of course the applesauce packaging matched the colors!! 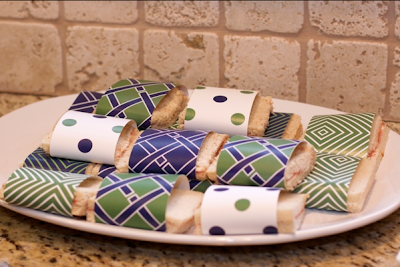 Assorted sandwiches wrapped in coordinating paper. 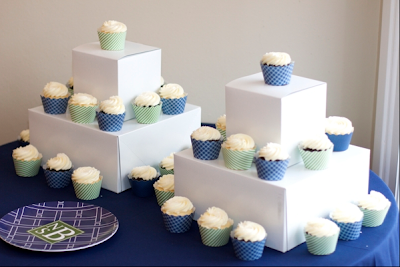 For the cupcake display, I stacked white boxes to create a stand. My friend, Kara, entertaining the kids! The birthday boy loving parachute time! My other little man, Conrad, who was a bit overwhelmed. Nicklaus enjoying his macaron. 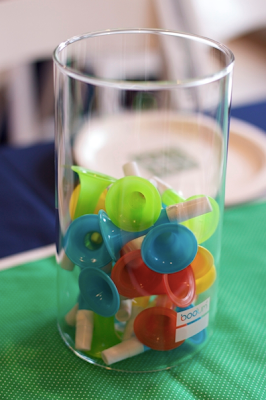 The kids loved this sweet treat which pleasantly surprised me. All photography by the very talented, Angela, of Bella Smile. 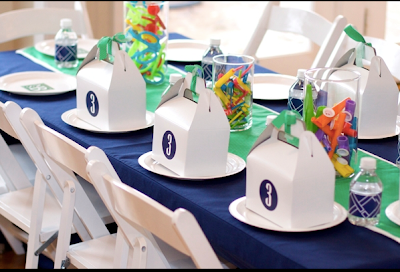 * Invitation, door sign, birthday boy chair sign, plate stickers, water bottle labels, "3" stickers, sandwich wraps & favor tags were all designed by my friend, Hayley Hardcastle. 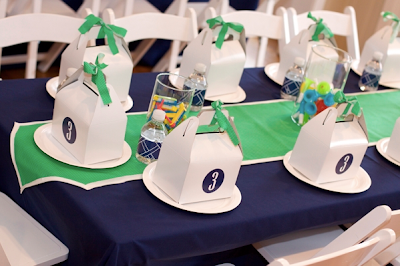 * Navy table linens came from Distinctive Details. 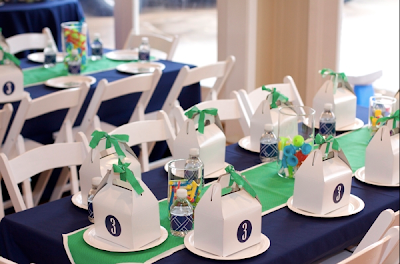 * Tables and kid chairs were rented from A Finer Event. 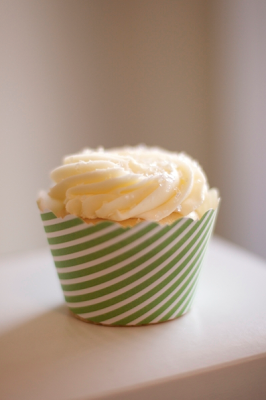 * I ordered the cupcakes from Etsy via Orange1 who was WONDERFUL to work with! She has so many great papers to choose from. * Cupcakes and flowers came from from Central Market. 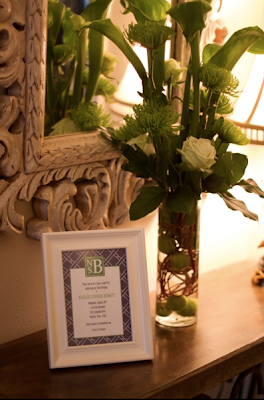 * Maison Burdisso made the kelly green macarons. They were DELICIOUS and she has so many colors to work with! 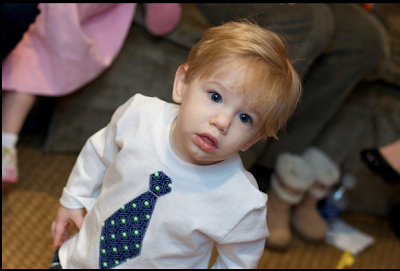 * Custom tie shirts for my boys to match the party colors were handmade by my friend Amanda and her Etsy shop, Tiny Bit More! This is so cute! Such a creative theme. 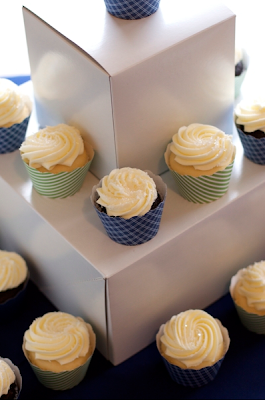 The cupcake towers are perfect. 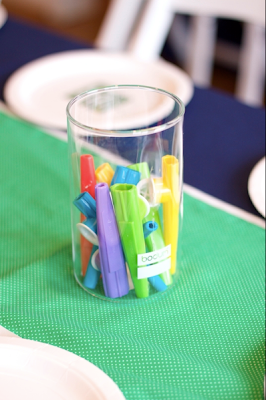 Very cute and clever ideas! I love the wrapped sandwiches. Those tie tee shirts are so darling! Hermoso trabajo, con miles de detalles. Who did the flowers? 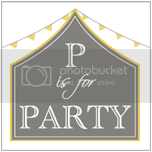 Beautiful party, great for kids and fun for the parents with the theme and decorations. i LOVE it! 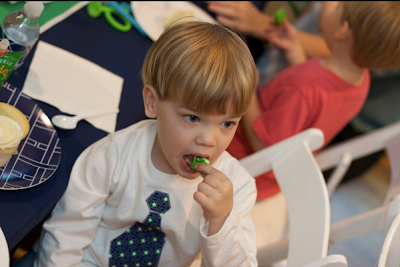 I am always looking for cute boy parties since I have 2 boys myself! the colors are perfect! I LOVE the tie shirt! Hi Lori! The flowers came from Central Market. Thank you for the comments everyone! What lucky kids you have! Love the colors and prints, perfect for a little boy! Great party as usual!! The party looks like it turned out great. You have quite a talented and resourceful group of friends. Everything looks great! 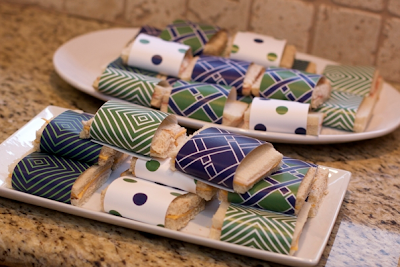 I really love the sandwich wrappers and the plates! Darling! 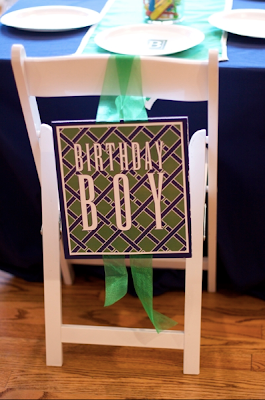 I love the colors for a boy's party! SOOOO cute - everything looked perfect, you should be proud! 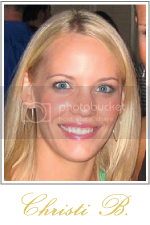 So pretty Christi! I love the colors and the paper patterns! You did such an awesome job! I love all the details! It was adorable! very cute party!! love the colors! Loved meeting you last Saturday! I hope we can have you help us with a celebration some day soon! i LOVE it!! so cute!!! 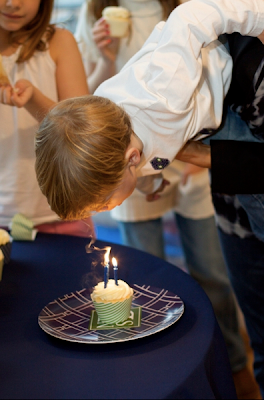 they are such adorable boys and all your parties are so creative! It's perfect! Amazing job, Christi! I love it all! This is the cutest party!! Cute and classy at the same time!! LOVE it!! 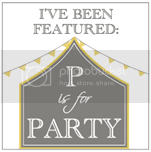 Your blog is so fun and what a adorable party!! I cannot wait to have kids to do this for!!! 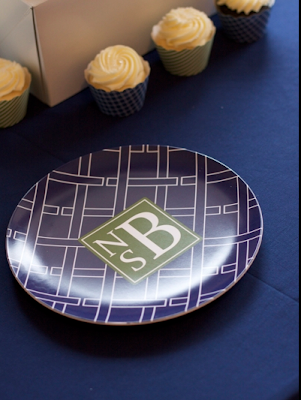 What a great party...every detail is perfect and the monogram sticker on the white plates is GENIUS. Fabulous job! Love the colors. 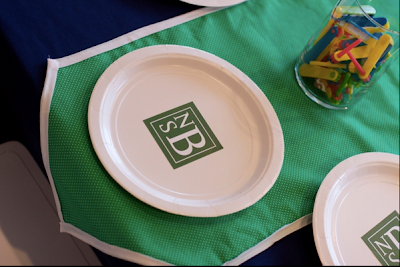 I enjoyed seeing how you dressed up simple items such as the paper plates and sandwiches. Beautiful! You are ridiculously talented!!! AMAZING!!! Can I be your friend??? :) Please email me your address so I can get out your gift card! Take care chicka! Your site is insane! I'm moving in! I cannot thank you everyone enough for your thoughtful and sweet comments!! Love it! Found you through my sister's blog. So clean and modern! Love it! Love the wrapped sandwiches. I'm a sucker for great paper and can't wait to use this idea. 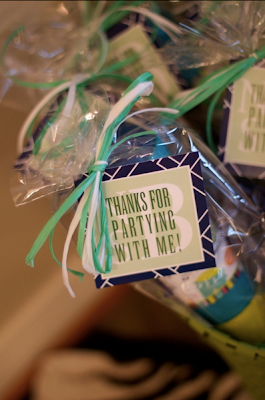 This party is pretty fabulous and I love the use of the colors along with the clean white. You are truely an inspiration. I loved all of it! But those personalized/monogrammed plates have earned a special place! I'm going to attempt those at my daughter's upcoming 2nd birthday! This party is amazing! Found you via Kate Landers.